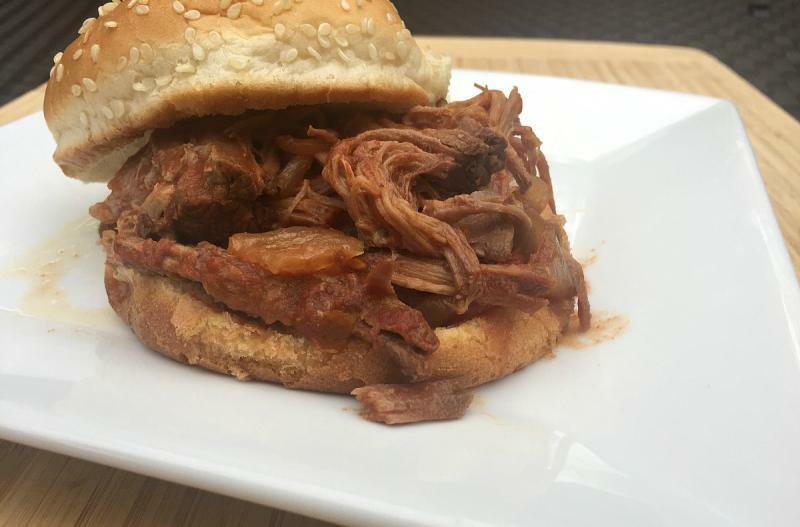 The acidity from the tomatoes helps soften and tenderize the beef roast, and the sloppy joe sauce infuses it’s flavors into the meat as it cooks. Slice the onion(s) into half moons. Open and drain the diced tomatoes. Open the sloppy joe sauce. Place the beef roast into the base of the slow cooker and season with salt and pepper. Sprinkle the sliced onions over the top, then pour the diced tomatoes and sloppy joe sauce over the top. Set the slow cooker on low and cook for 8 hours. Once finished cooking, shred the beef with 2 forks and mix into the sauce. Assemble sandwiches with hamburger buns and meat sauce. 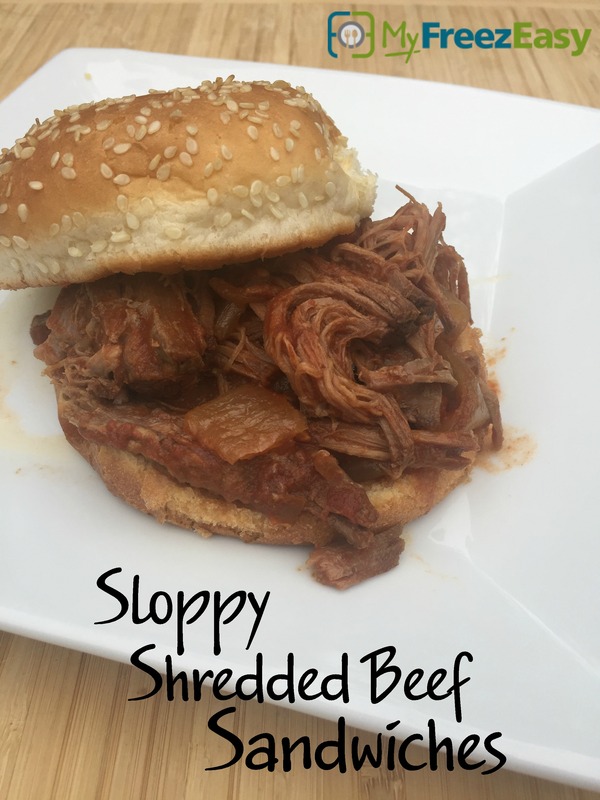 Serve Sloppy Shredded Beef Sandwiches with salad and fruit. Slice 2 white onions into half moons. Open and drain 2 cans of diced tomatoes. Open 2 cans of sloppy joe sauce. Search on 5DollarDinners.com for homemade sloppy joe sauce recipe. Recipe is gluten-free when served on gluten-free bread. Serve with salad and fruit.